Dennis is a member of the Class of 2020 at Ngoto Boys School, the high he always dreamed of attending. Since before he even started high school, Dennis knew he wanted to be a mechanical engineer, and plans to attend university to continue his studies in that field. 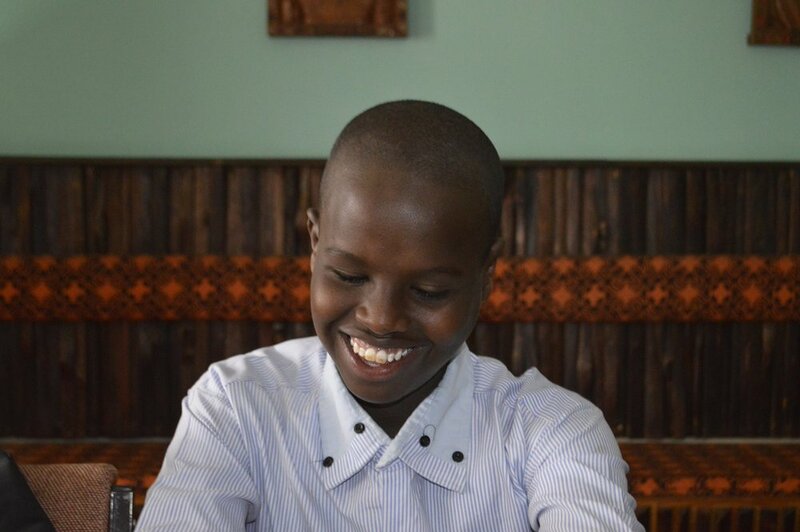 Outside of school, Dennis enjoys playing football, playing basketball, and listening to music. Imran is a member of the Class of 2020 at Dagoretti High School in Nairobi. Irman grew up with three brothers and three sisters and he speaks three languages — Somali, English, and Swahili. For his entire life, Imran has had the same dream: to become an airline pilot. He plans to attend university after high school to achieve that dream. Leonida is a member of the Class of 2020 at Our Lady of Mercy Secondary School for Girls. She consistently ranked in the top 1/5 of her class and especially excels in her English and Science classes. She dreams of attending university to study Architecture. Besides working hard in school, Leonida also enjoys music and drawing.